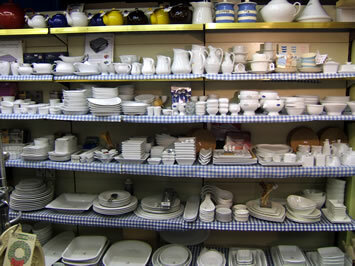 Here are some examples of our extensive stock. If you don't see what you want here, please ask. It's likely that we have it, but if we don't we can source it for you. 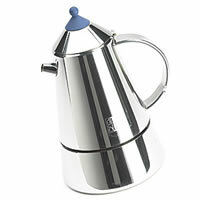 La Cafetiere - Tea, coffee & mocha products - coffee makers, kettles, etc. 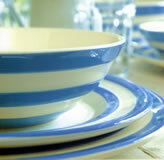 TG Green - Cornish Blue traditional blue & white handmade pottery - hand carved. ....and much more. Come along and browse! 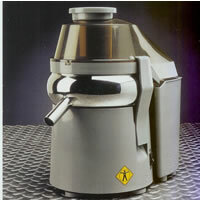 Gaggia is the best known Italian manufacturer of Espresso coffee machines for professional and household use. 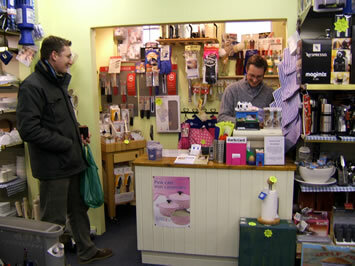 Extensive range includes Baby Gaggia, Achille Lever and Nespresso. Also grinders & accessories. Other coffee machines available include filter coffee makers, combination filter & espresso machines, coffee grinders and percolators. Sophisticated technology combined with ease of use means you can now enjoy the finest coffee you've ever tasted - at home. 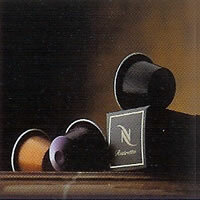 Nespresso - Coffee machines and premium rate vacuum packed coffee. 12 blends are available, including 3 decafs. Innovative capsules containing the perfect amount of feshly roasted coffee, means there's no need to grind, measure or tamp. You choose from nine selected flavours to match your mood; a long breakfast latte, mid-morning cappuccino, or a sophisticated after dinner espresso, even decaffeinated; you decide on taste, strength and quantity. Just insert the capsule of your choice and press the buton. You can even froth your milk if you wish. 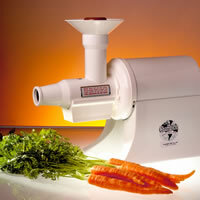 L'Equip award winning110.5 mini pulp ejector juicer - as seen on TV - "You are what you eat" with Dr Gillian McKeith. Best Buy for 2 years in row on The Independent's top 10 review and has a 6 year warranty. 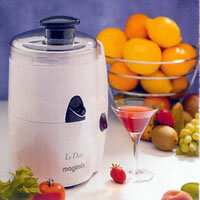 Magimix Juice extractor & citrus press. 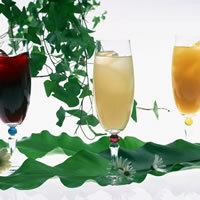 For making delicious fresh juice from soft and hard fruit, vegetables or citrus fruits. Some models come with serving suggestions and nutritional advice. 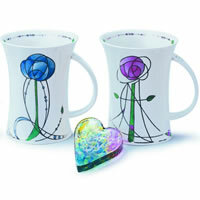 Other examples from our wide range includes TG Green Cornish Blue traditional blue & white handmade pottery, AGA & Alessi hob kettles, Aerolatte, Dunoon tea pots & mugs, stylish Dualit cups & mugs, Bialetti Jugs, Pina Colada & other mixer sets. We also stock Totes, which are insulated bottle carriers, which keep bottles warm or cold and protect them from breaking.